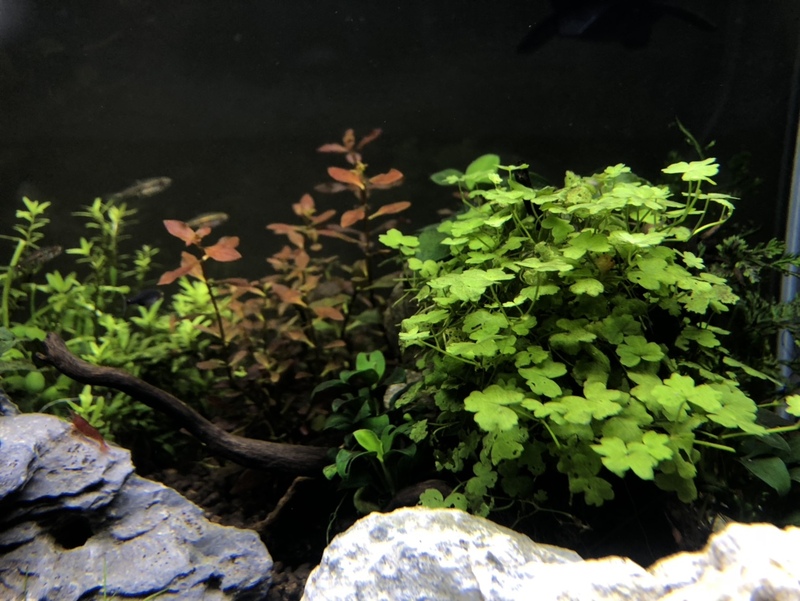 That’s pretty nifty to complement a nifty scape. A school of seven would be just right for that tank. (I'm fond of kubotais, too.) 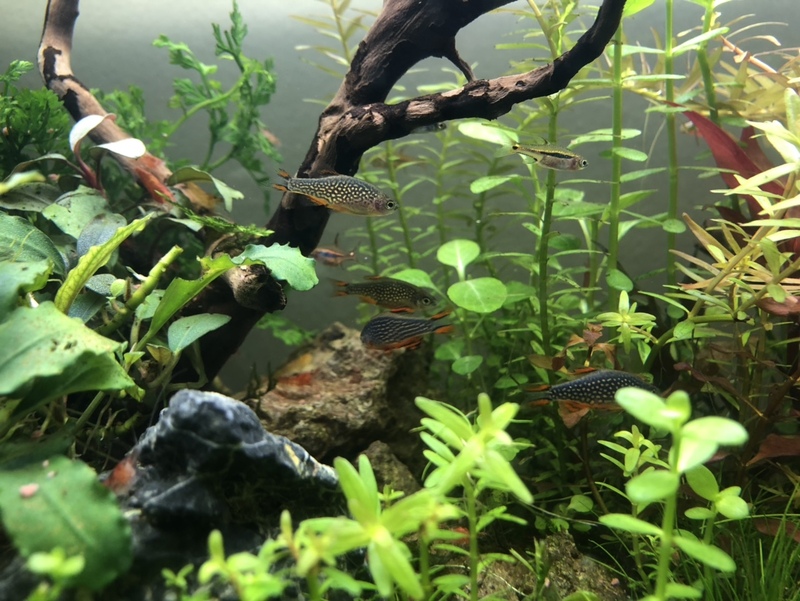 What is the other fish with them? 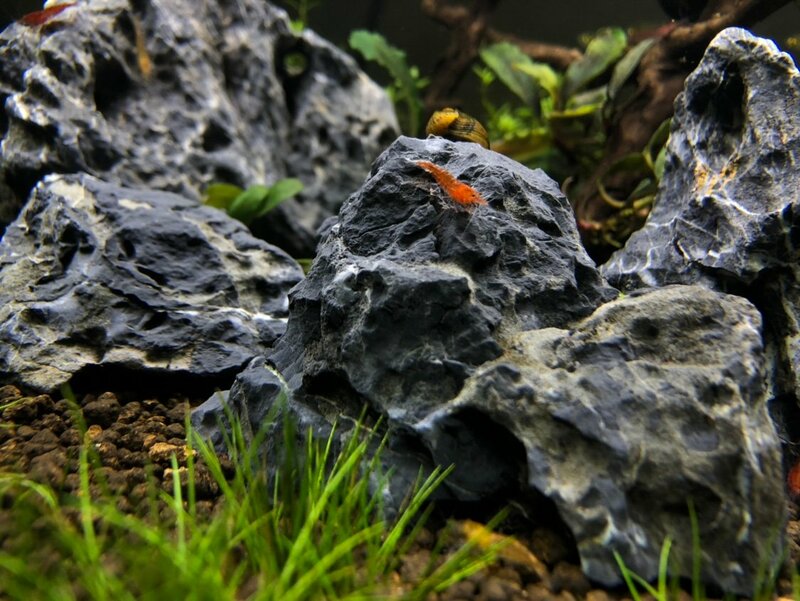 Fish are healthy and so are shrimp, but I’ve noticed shrimp haven’t really been breeding... 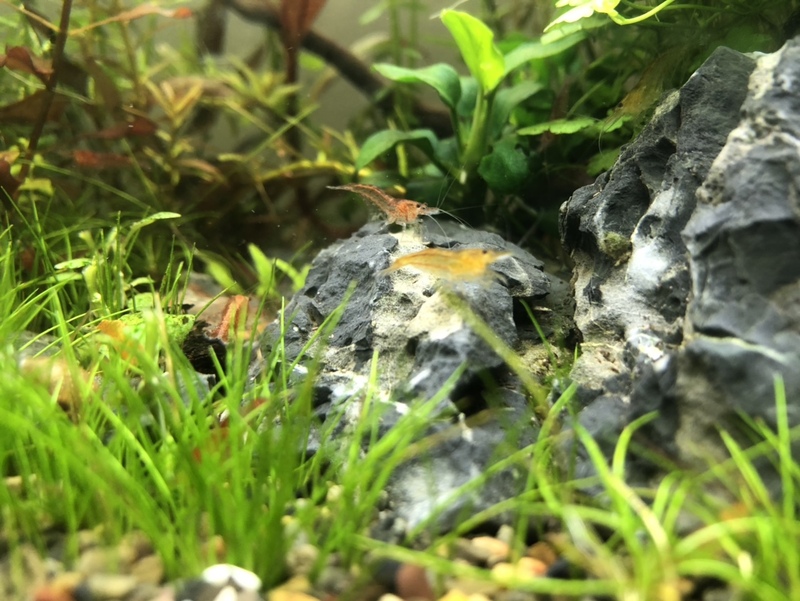 I want to supply them with some nice shrimp food, maybe even some cucumbers? Let me know what I should get. 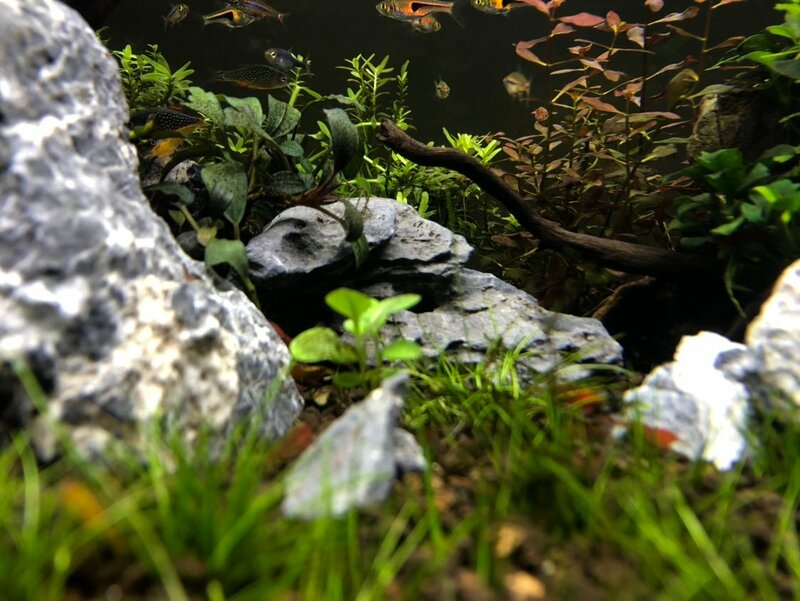 I really have to get some Galaxy rasboras. So beautiful. 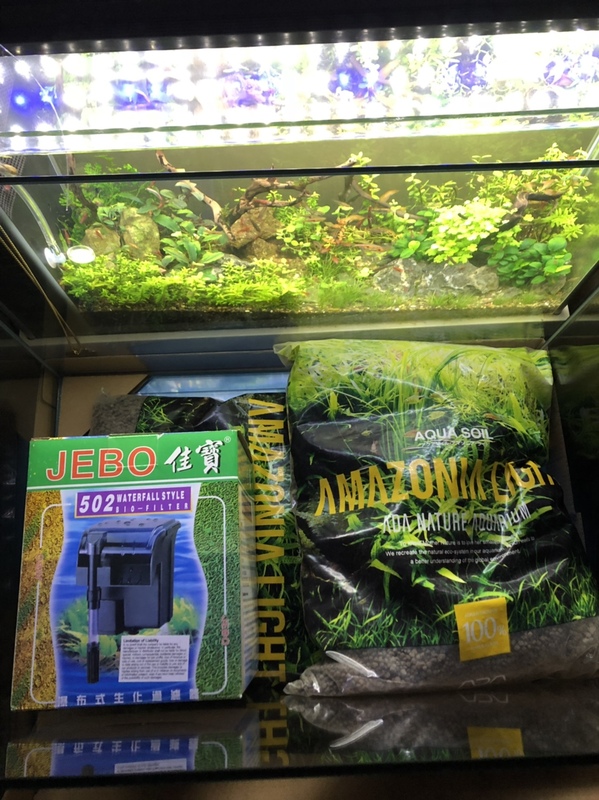 I picked up a new 10 gallon tank and ADA Amazonia Light soil at Nature Aquarium today. 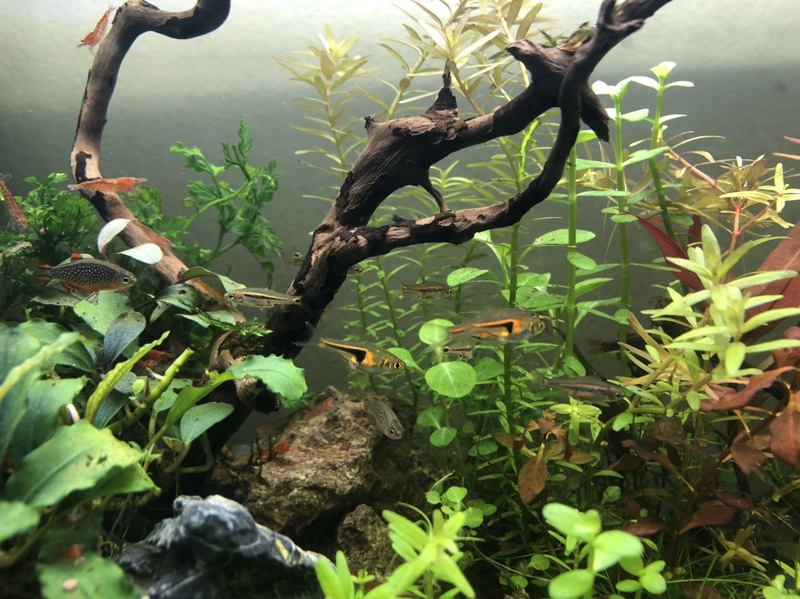 I’m planning on moving everything from my fluval spec to that new tank, including filter media, water, and all the plants and fish. I have one question, will it leach a lot of ammonia? 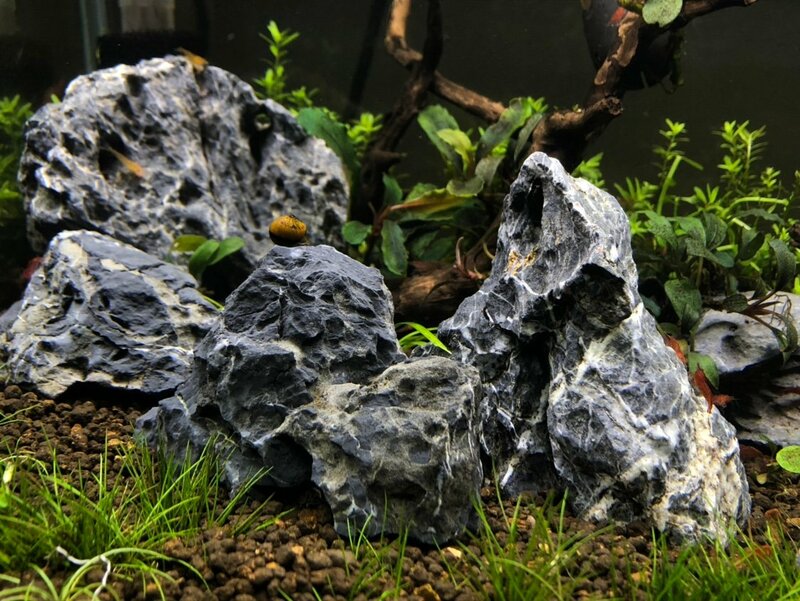 The new substrate will leach ammonia, the question is whether or not you will have enough cycled filter media to turn it into nitrates before it harms any livestock. 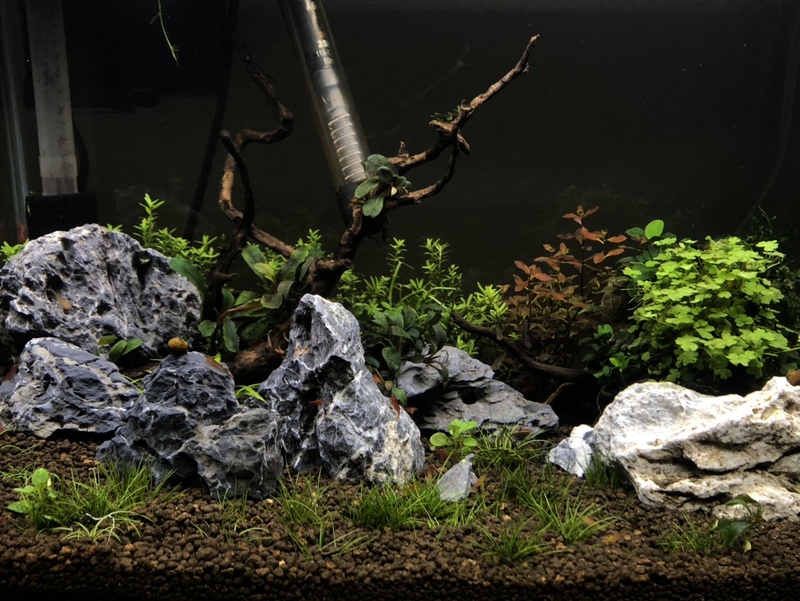 Now if you take into account that your going from a 5 gallon tank to a 10 gallon tank and doubling the water volume, the cycled material is still set up to handle a 5 gallon bioload, I can almost guarentee some ammonia spikes in the first week. 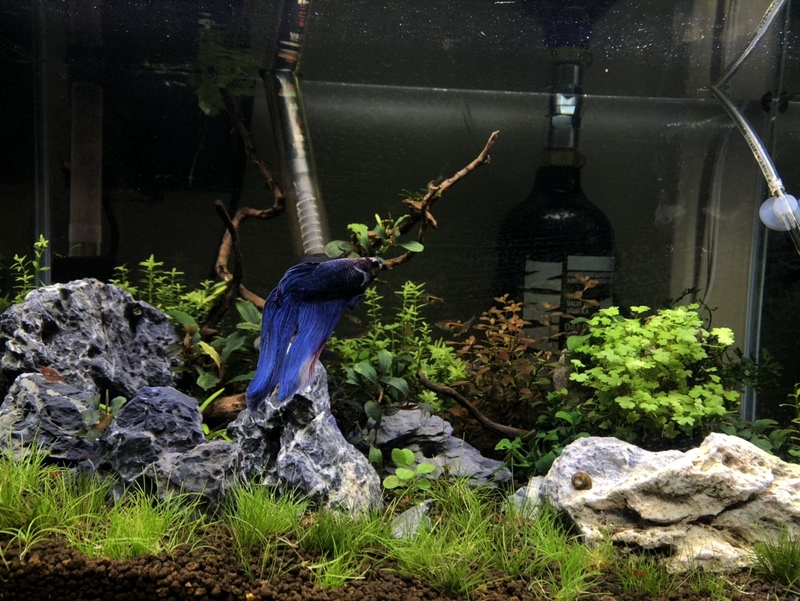 What I would suggest, though I dont know if its possible on a spec V because of the rim on the top, would be to run your new filter on the older tank for a week or two. Then when you set up the new tank that filter is already fully cycled, and take the filter media from the spec V and put it in a pantyhose and put inside the new tank for about a week to help the rest of the tank cycle. 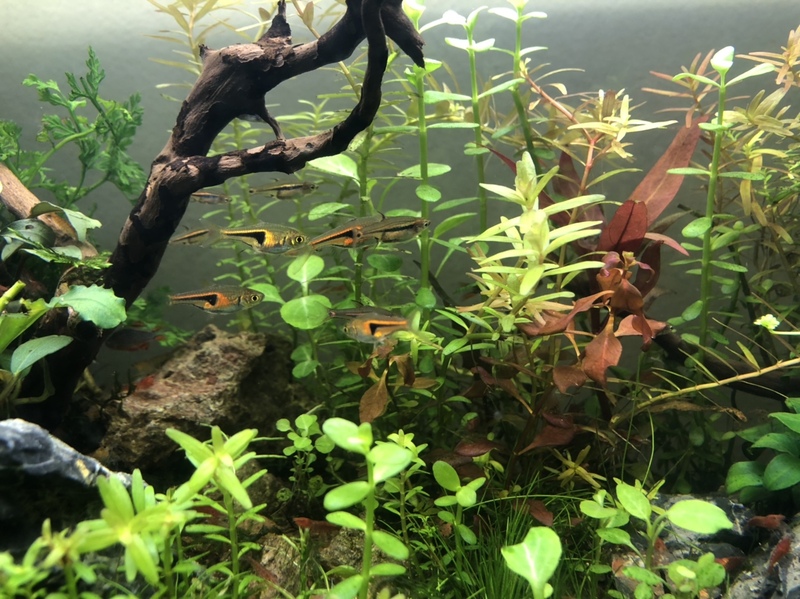 Its a little bit more preparation when dealing with an active substrate and upgrading to a bigger tank, but if you take your time with the cycle you shouldnt have any problems. I guess it’s time to update this thread, I wish I could edit the title... is that possible?? Anyone know? Anyways here’s the outcome of the new upgrade. 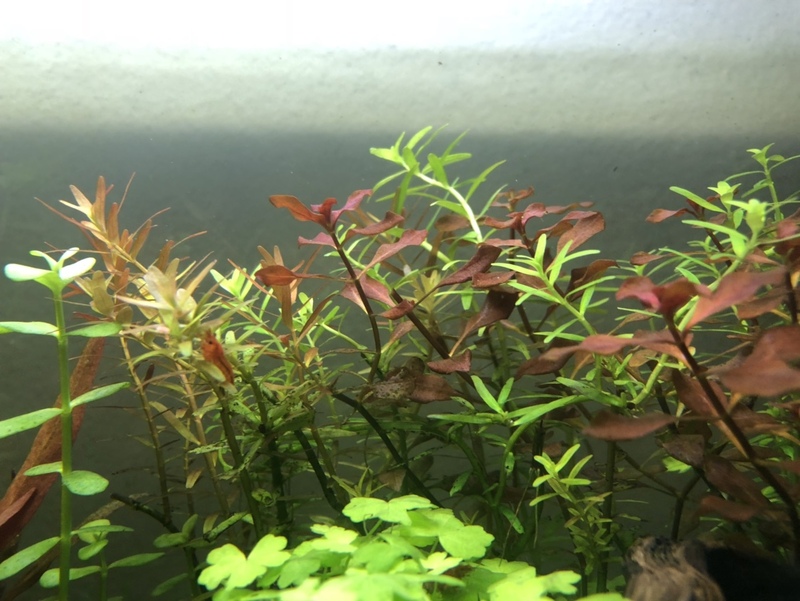 At first all of my buce and anubias had some like black color on the leaves and I didn’t know what to do so I left it alone... couple days later it was going away after I soaked them in h2o2 water for a couple seconds. I just added a paintball co2 set up... I need a new diffuser so ima be on the look out at the auction! I’m also going to look for a new heater since mine is kind of old and might need an upgrade. I added more hair grass. 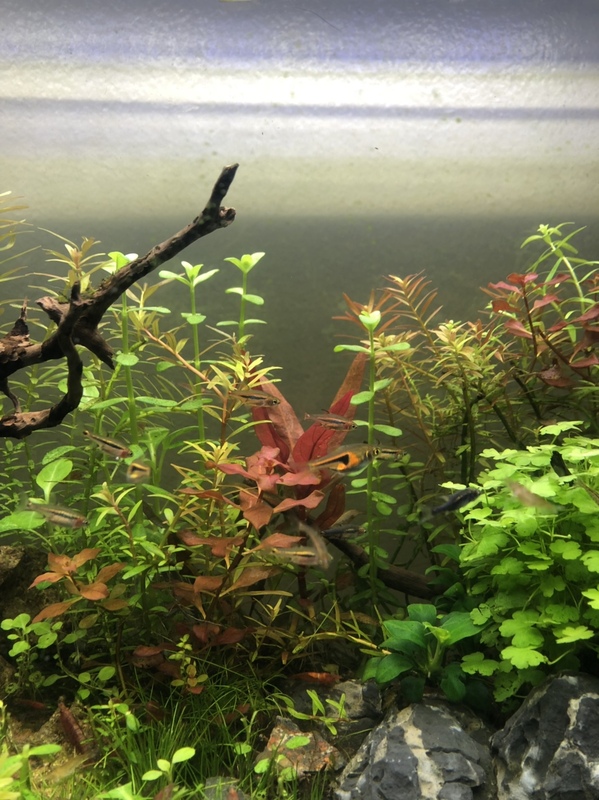 Something I noticed between tropica and UNS tissue filter was that when I used the UNS hair grass it was much easier to separate and the tropica was super messy!! Other than that I still like tropica. Looking good! What do you want the title changed to? It can be done. Thanks! 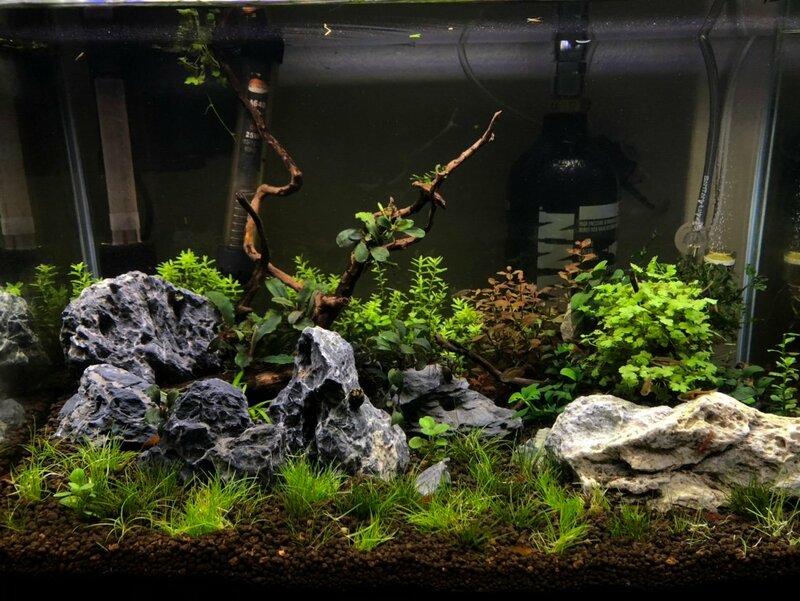 Maybe like “Nano Experience” lol since this is a nano tank and will continue to be one! 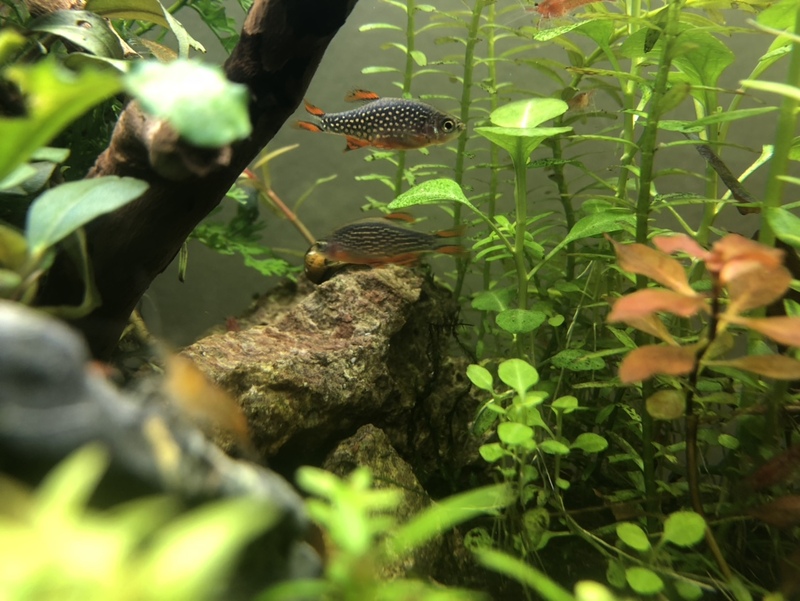 I just noticed that you changed the Spec V for a 10 gallon. Was it just that you wanted more space? I'm thinking of picking up a Spec V (because it will hopefully actually fit on my kitchen counter) and am curious to hear why you stopped running it. In the future. To edit title. 2. Click " Go Advanced"
3. Edit the title and click apply. Thanks my dude! And yeah same with me! They were breeding like crazy but they stopped for some reason, maybe it’s not their time?? Or maybe it has to do w something about changing tanks.